*This table attachment can only be used with our #975-P Great Bay Poly Bar Chair. 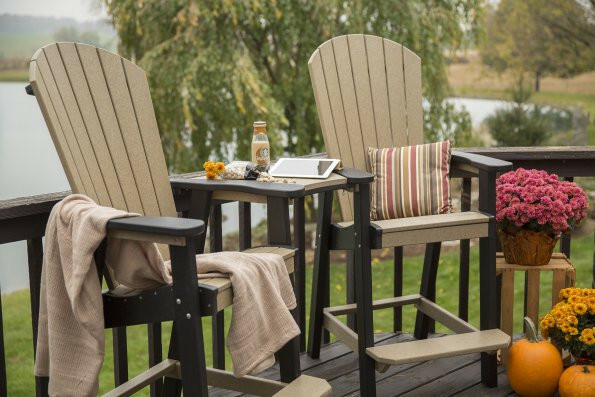 Our Finch Poly Furniture is one of a kind. You will not find a better quality furniture line anywhere else. Finch products are Amish handcrafted in the USA by descendants of colonial American immigrants from Europe. The deep-rooted agricultural and religious values that built America are still the creed guiding Finch today. While recycling was not the buzz word in the seventeen hundreds, the concept was fully employed as our ancestors used and reused the few resources they had. Today, common sense stewardship of the earth's resources still dictates that we should make the most of what we have. 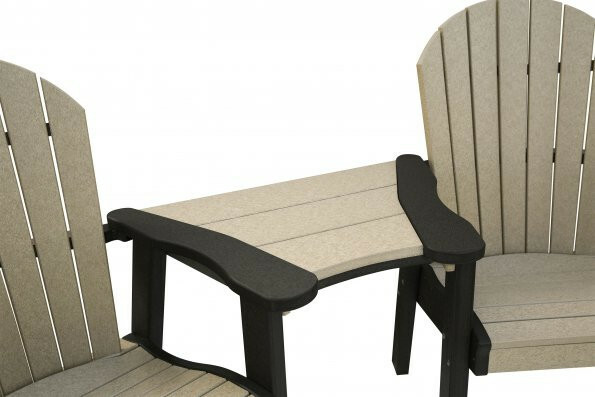 All poly lumber used in Finch furniture is made from recycled plastics. Manufacturing waste is also recycled. Your outdoor room is a wonderful place for creative expression. Finch gives you 20 designer colors to choose from. We also offer a 20-year residential warranty and a 5-year commercial warranty. You are sure to enjoy many years in the luxurious and relaxing Finch furniture line. Advantages of Poly Lumber Made in the USA! Lasts a long time and is virtually maintenance free Doesn't need to be treated, painted, or stained No splinters! Won't absorb moisture Resists salt and is unaffected by termites, rodents, worms, marine parasites, or other insects Does not leech or bleed toxins or carcinogens *This table attachment can only be used with our #975-P Great Bay Poly Bar Chair.